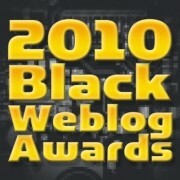 I know there were many of you looking forward to my complete dismantling of the Internets if SoulBounce didn't win any Black Weblog Awards. Well I'm sorry to inform you that we rightfully won for Best Music Blog (popular and judges' vote) and Best Blog Design (judges' vote). Chea, boyee! If you're wondering why SoulBounce even gives a damn about a BWA, that's what I'm here to tell you. In my initial bid for a nomination, I pointed out that a vote for SoulBounce is a vote for quality Black music. When I first conceived SB, it was important for me to have a site that was not only popular but that didn't only feature popular Black artists. To be sure, posting about Beyoncé and Lil' Wayne everyday would've increased this site's traffic exponentially, but that need has been met several times over and quite successfully by our colleagues. SB needed to strike a balance between (1) featuring the underrepresented and unknown and getting no-to-moderate traffic, and (2) getting ridiculous traffic by writing about the usual suspects. A post about Usher or Amy Winehouse does not undermine our efforts if you can also catch up with the likes of Shanice, Syleena Johnson and Peven Everett. SoulBounce totally disproves the notion that you have to rotate the same five familiar faces in order to be relevant and popular. The more attention SB gets, the more likely people are to discover some of our Bounce-Worthy picks, or other artists that don't get the press, love, and fans they so deserve. When all eyes are on you, you should use that as an opportunity to give your audience something unique and varied. Popular urban radio and magazines rarely, if ever, do this. 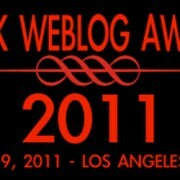 Special quadruple crazy-fat thanks to Huny for freaking this design and earning us that Best Blog Design award. The BWA judges totally understand the value of a unique artistic approach as well as intense and attentive hard-coding. Thanks to our crazy and brilliant commenters that keep us on our toes and call us out when we've (I've) stepped over the line. A blog is probably only as good as it's feedback and we have the best audience on the Internet. You guys rock! 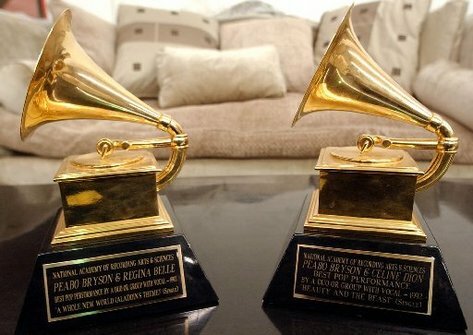 But thanks most of all to the artists that uphold the tradition and focus of Soul music. We know you're watching (AAries, Maxwell, Rahsaan Patterson, Trina Broussard, Anthony David, N'dambi, et al). You make this job easy and fun for us and prove to the Black music-loving audience that we do have options, no matter what those other outlets would have us believe. Let's keep pushing The Movement forward in 2009 and beyond. Eventhough I may not agree with you and vice versa. I LOVE that all of you Love and Appreciate music as much as I do. So Congrats!! LOL. You guys are great! Keep up the good work! word to quality and dedication. Well deserved wins all around. ¡Sí hicimos! Congrats to y'all, well deserved all around. I always big you up on my blog. This is a great site, keep up the good work! It couldn't have happened to a better crew. Congrats! Congrats! You guys deserve it. Sidebar: I am suffering from countdown withdrawal. congratulations SB team. Well deserved. And I would have been right there tearing this muthasucka DOWN had SB not won! I consider myself somewhat of a music connoisseur and I can't tell you how much this site and all of the tastemakers involved have added to my life. Many congratulations on a job well done. Yay!! !I come to SB because it actually has a focus.The design fits the focus and the writing is genius!Keep up the work! Congrats Soulbounce! I don't normally post, but I thought I'd give you your props, which is well deserved! I enjoy reading your blog. It keeps me informed and gives me insight beyond the mainstream. Keep doing your thing everyone! You rock Soulbounce. My favorite extened family 🙂 So happy, now where is my first paycheck?? Folks can see SB is done for the love of music. It's all about the love. and you guys deserve it. "SoulBounce totally disproves the notion that you have to rotate the same five familiar faces in order to be relevant and popular"
I appreciate all the artists you mentioned in this blog- especially Syleena Johnson and Rahsaan Patterson. They are two of my favorites. You should also check out Choklate (you might know of her) @ http://www.myspace.com/listen2chok. Also J.Hollins @ http://www.myspace.com/jhollins. He's lyrics give an honest grown mans perspective. 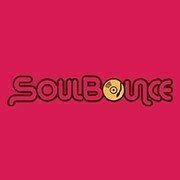 SoulBounce is very deserving of the BWA awards received. Keep blogging about that good music. Congrats Soulbounce! You can continue to count me as a reader (and commenter, especially on posts like the BET awards! Priceless!) for a long time. Congrats to Soulbounce!!! I agree...... I get tired of hearing about the same artists through the different media channels. I love artists like Syleena Johnson and others who don't get the recognition by main stream media. My most heartfelt congrats Nova...you and the crew deserve the wins and more!!! I been with yall a long time...so much so I dont bother to hit up any other info site! Keep up...and onto to bigger and better!